I’m a sucker for stuff like this. 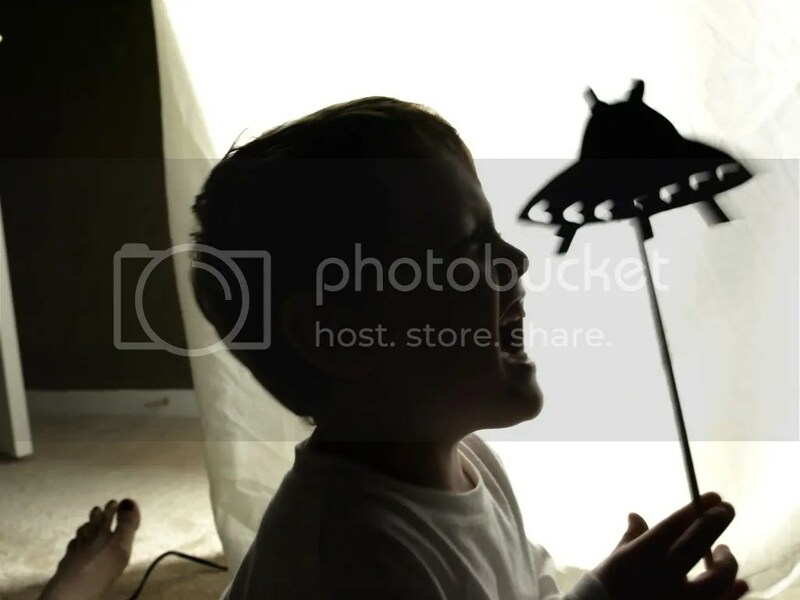 I love puppets and dress-up and playing pretend. I think I make stuff like this in order to live vicariously through my kids. 🙂 This is a super cheap and easy project that the kids (and you if you’re like me) will LOVE and play with over and over again. Foamies large foam sheet (the thick sheet) in black. You can get this at the craft store. Small wooden dowels. 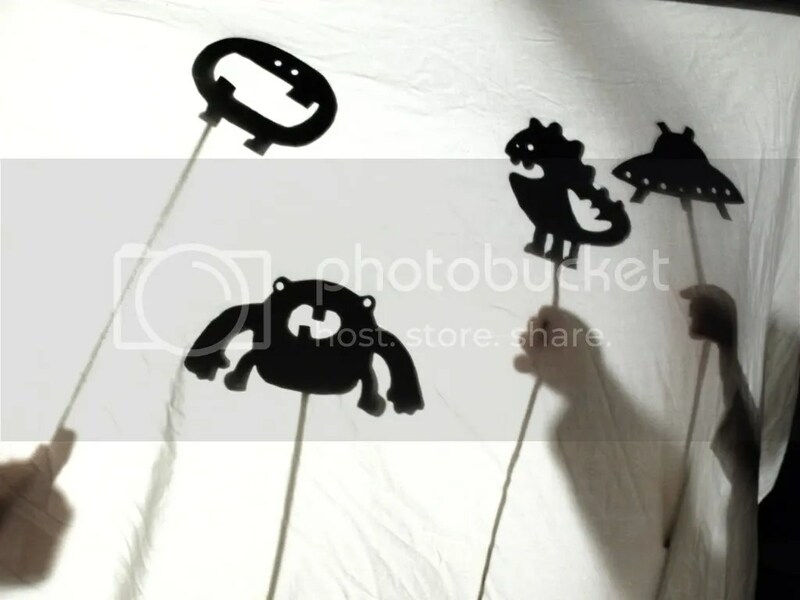 These are sometimes at the Dollar Store or you can find them at the craft store. 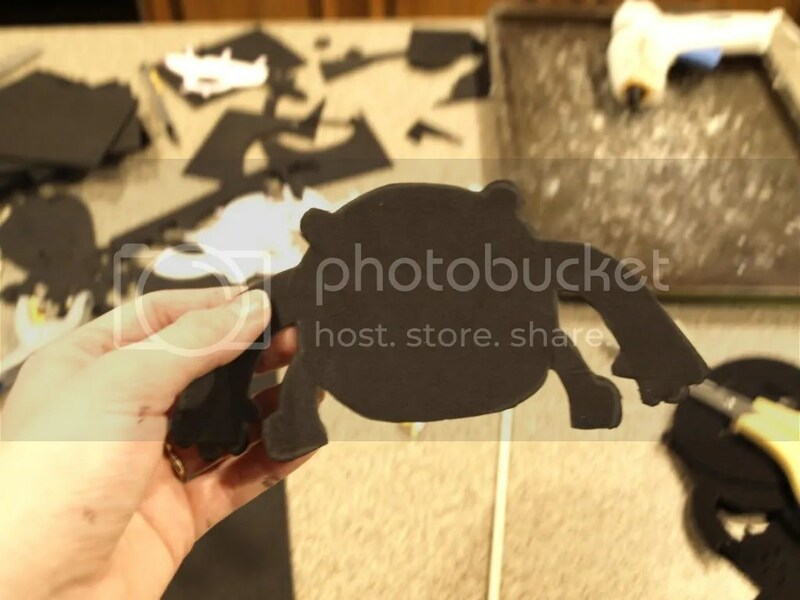 My monster and aliens templates. A couple of hole punches in different sizes. I used a regular single hole punch and an eyelet hole punch. Black felt if you’d like. 1. 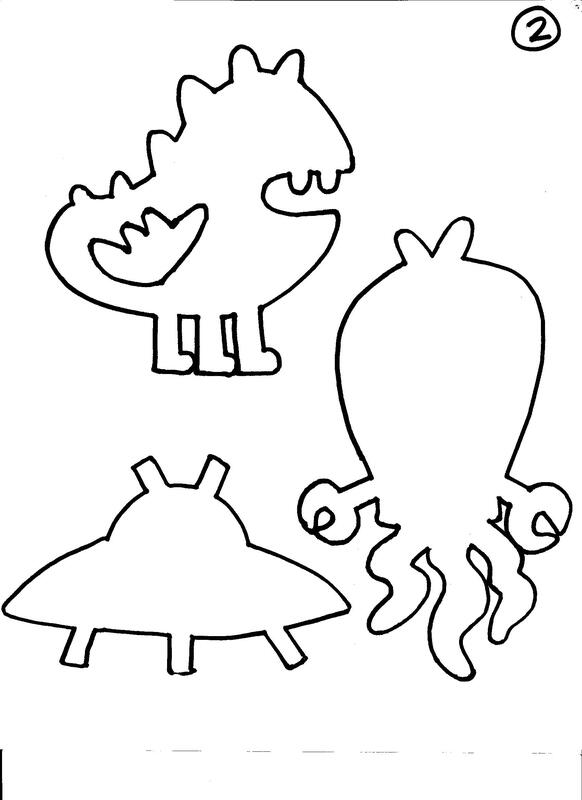 Draw up and cut out your own monster and alien templates, or use mine (because my mama taught me that sharing makes friends). 2. 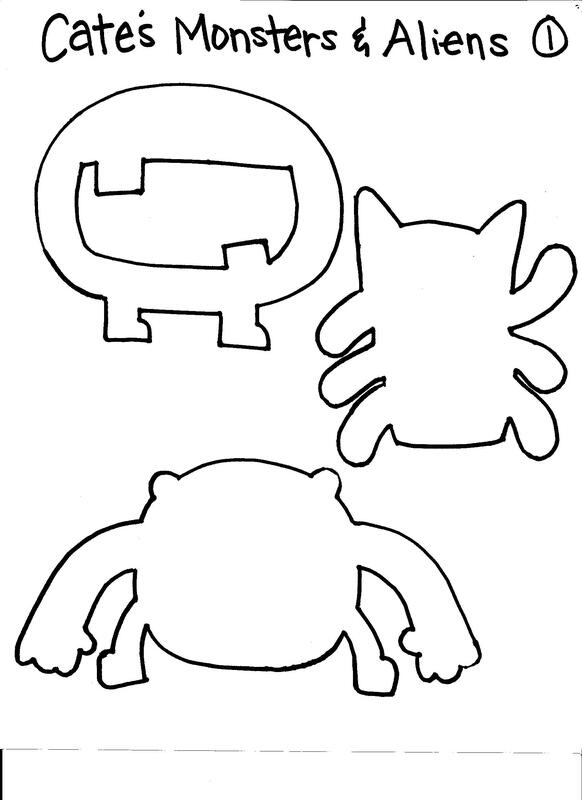 Trace the monster and alien templates onto you foamies sheet with a pencil. 3. 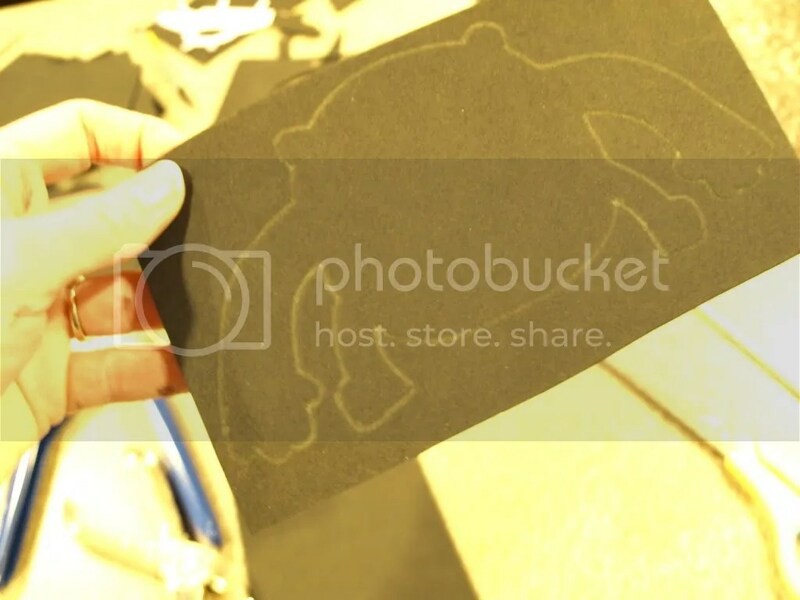 Cut out your monster/alien. Add details (multiple eyes, tentacle suckers, lights, etc.) with your hole punch(es). Get creative and have fun! You can’t mess it up! 4. 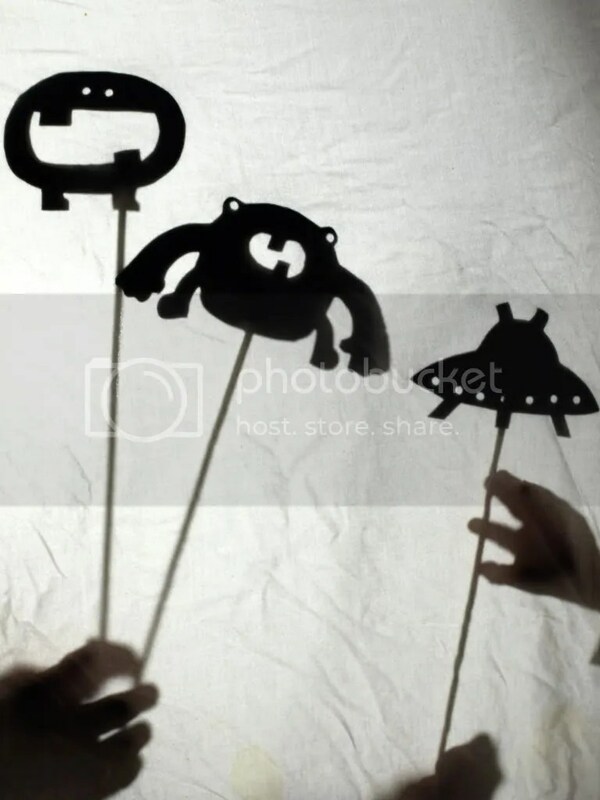 Glue the dowel to the back of the shadow puppet with hot glue. To give the puppet some added stability I recommend gluing the dowel about half way up the puppet (if it doesn’t interfere with some eye balls or details). 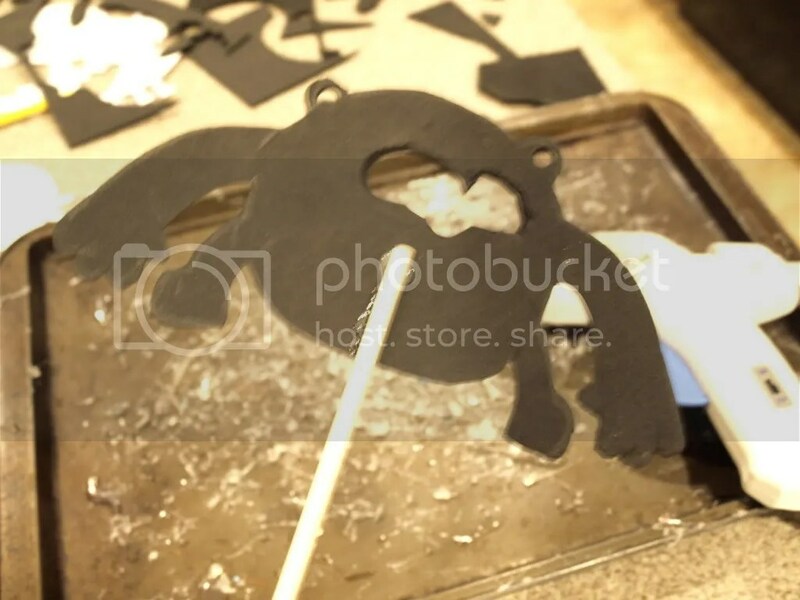 You can also glue a small piece of black felt to cover the dowel and reinforce that the dowel is securely attached to the puppet.